“He was an inspiration for the community — the way he dreamed about transforming the lives of the same people he grew up with and grew up around in Crenshaw — and it deserves to be recognized,” she said. Whatever Bass says about Hussle on the House floor and any material she submits as part of the record will be part of the Congressional Record for that day and printed up the next day, making it a permanent part of U.S. history. 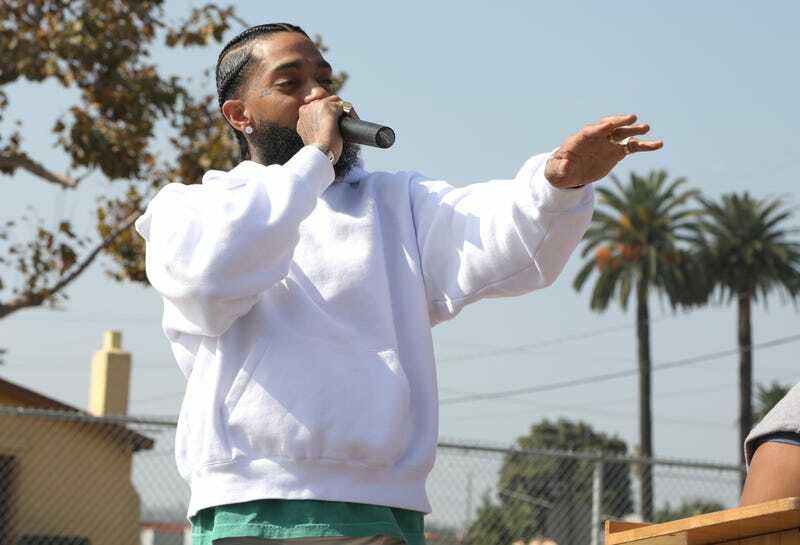 Hussle, whose real name is Ermias Joseph Asghedom, was shot and killed outside of his Marathon Clothing Company store near the corner of Crenshaw and Slauson in Los Angeles on Sunday afternoon. The 33-year-old Grammy-nominated artist has been praised for his efforts to uplift the community he was raised in. On Tuesday, Los Angeles police arrested 29-year-old Eric Holder and charged him with murder in Hussle’s death. He is being held in isolation at a Los Angeles County jail, and is being represented by OJ prosecutor Christopher Darden.